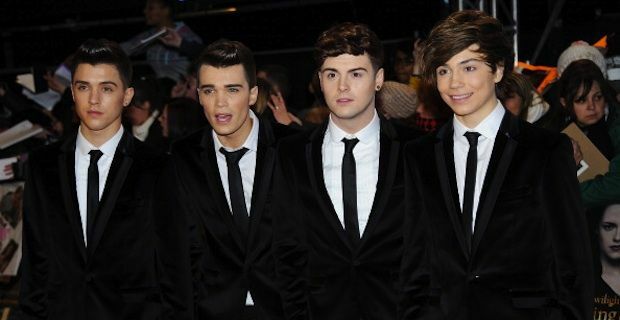 Union J’s X Factor journey ended at the semi final stage as they crashed out of the competition. With their dreams in tatters, the boy band missed out on their chance to compete in this weekend’s grand final after they came bottom of the public vote. Another band member, Jaymi Hensley said it had been a ‘dream’ to appear on the talent show. Soloists Christopher Maloney, 34, James Arthur, 24, and Jahmene Douglas, 21, all survived the final hurdle and will now sing in front of 10,000 people in Manchester. Tulisa Contostavlos had performed her single Sight Of You earlier in the evening – an experience she apparently found ‘terrifying’. We couldn’t possibly comment! US star Pinkalso made her X Factor debut as while all of the semi finalists sang with Rod Stewart. The programme’s plummet in ratings continued apace though as 8million viewers tuned in for Saturday’s semi-final – down by 2.6million on last year. However that may possibly be boosted by the other juicy titbit of gossip to emerge from the weekend’s X Factoring. As Twitter lit up with fans taking it all far too seriously, Chris Maloney has filed a complaint with police after receiving death threats with a hashtag attached. He added fuel to the fire by responding to a user online who had unconvincingly threatened death with the words, 'I'm going to murder you why are you voting for yourself?' the morning after the result was announced. Let’s see what next week brings then eh?